GAME has opened pre-orders for the new Pokémon Let’s Go Nintendo Switch bundles, perfect for those looking to buy the portable home console for the first time or to upgrade to show your love for the pocket monster series. 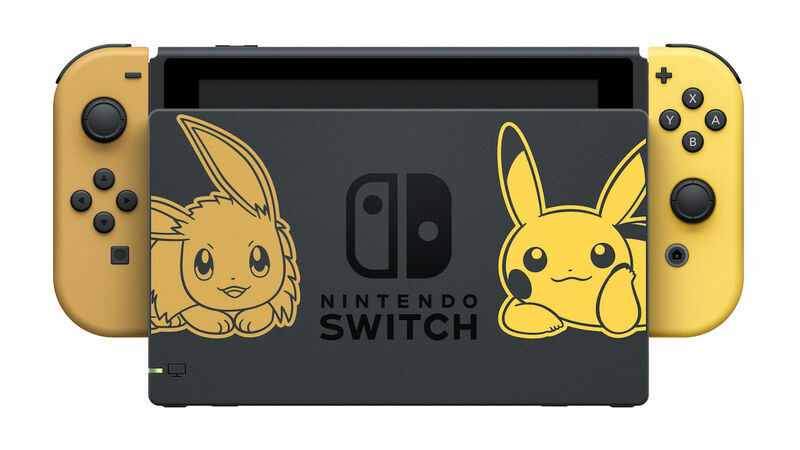 The bundles (priced at £339.99) contain a Nintendo Switch console decorated with silhouettes of Pikachu and Eevee, special Pikachu and Eevee themed Joy-Con, a Nintendo Switch dock with colourful artwork of Pikachu and Eevee, and a Poké Ball Plus controller. The only difference between the two bundles is whether it comes pre-installed with a copy of Pokémon: Let’s Go, Pikachu! or Pokémon: Let’s Go, Eevee!, your choice determining which partner Pokémon will travel with you in the Kanto region. The Pokémon Let’s Go Nintendo Switch limited hardware bundles will release in Europe, North America and Japan on November 16th.